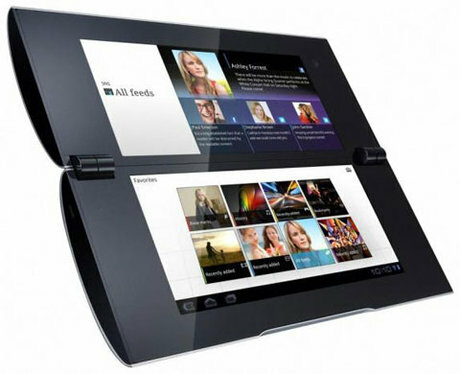 Sony Tablet P is a foldable touchscreen 5.5-inch display with Dual screens powered by NVIDIA Tegra 2 processor with 512MB RAM and runs on Android 3.1 Honeycomb OS with an Icecream Sandwich update soon. The Tablet P sports 0.3 megapixel front facing camera and comes with 4GB in-built storage and 2GB SD card bundled. The Network Connectivity options of Tablet P includes AT&T 4G, Wi-Fi. 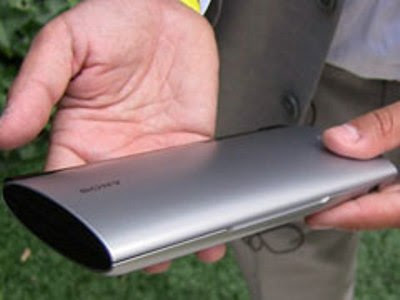 Other options include microSD card slot and it weighs 370 grams(13 ounces). Currently no news about price and availability. Tags: Sony Tablet P, Sony P Tablet ,Sony Tablets, Dual Screen tablets from sony, Dual Screen foldable tablets, 4G tablets, Sony 4G tablets, Android 3.1 Honeycomb OS Sony tablets, Android 4.0 Icecream Sandwich OS Sony tablets, Sony Tablet S2.